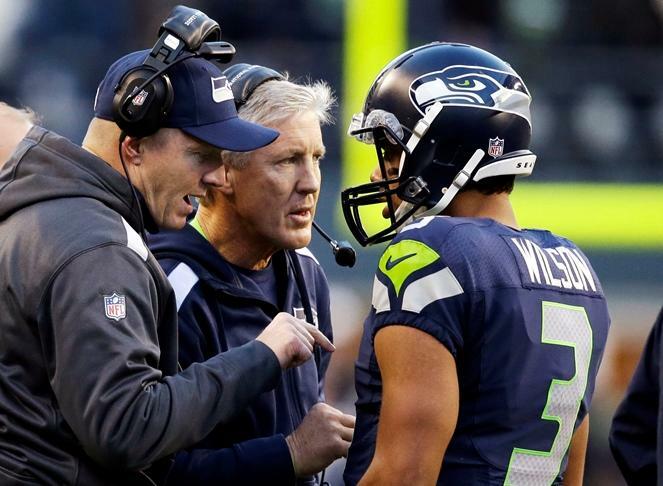 FILE PHOTO - Seahawks quarterback Russell Wilson talks with head coach Pete Carroll and offensive coordinator Darrell Bevell. The Seahawks have fired offensive coordinator Darrell Bevell and assistant head coach Tom Cable, who was in charge of the offensive line. Thiel said this is just the beginning. "I think there's still more to come in terms of changes," he said. 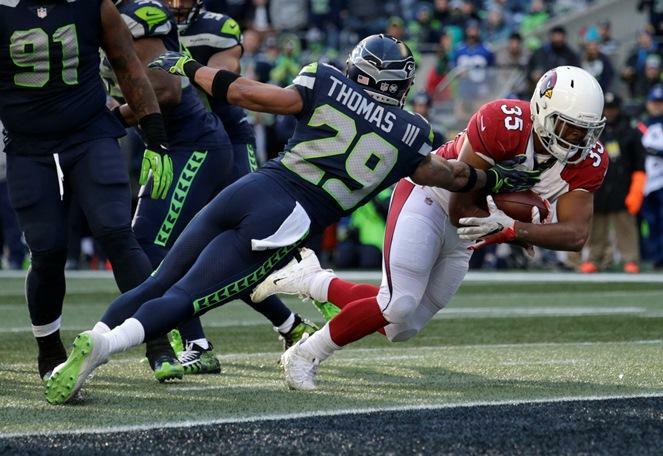 "It does set Pete Carroll up to say to his players -- who are going to go through a similar change when free agency happens and when the draft happens -- he said, 'We're accountable too.' We being the coaches." "When he gets rid of players, it's going to be even a bigger house cleaning. Some veteran names are going to be going." "So, this is setting things up for many more changes that we're going to see." "This is going to be a vastly different team, I think, in 2018 than what we saw in 2017." The NFL playoffs begin this weekend. 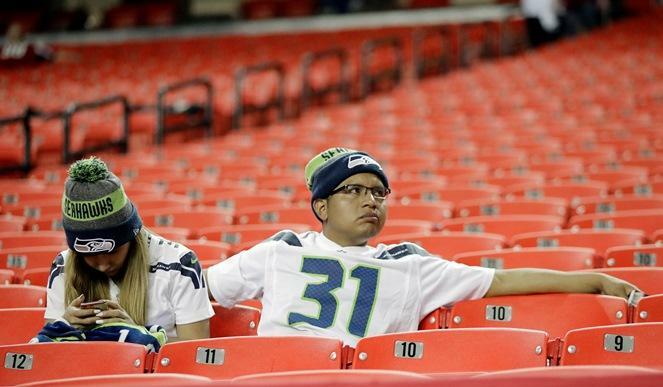 For the first time in six years, the Seahawks aren’t part of them. KNKX sports commentator Art Thiel talked with Morning Edition Host Kirsten Kendrick about what went wrong in 2017 and what the team needs to do to come back strong next season.